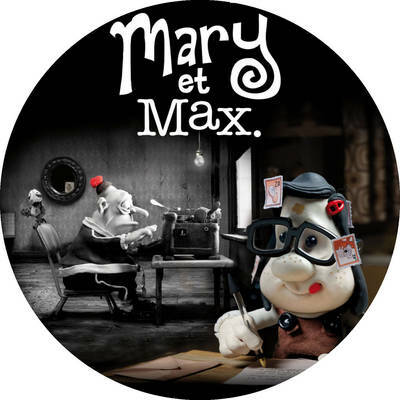 Mary & Max, a beautiful claymation film from Australia, is the right mixture of sweet, hilarious, and bleak. The film is about two lonely hearts— a young girl and a troubled older man who become strange and awkward pen-pals. Both characters lead pretty depressing lives, but the film shows the charm and hope that shines through simple human interaction. Max and Mary are voiced by Philip Seymour Hoffman and Toni Collette (both Academy Award winners) who deliver their deadpan lines with perfect cadence. As much as I loved the claymation, the writing was my favorite part this film, chuck full of fresh, interesting, and (cautiously) playful dialogue. I definitely think it’s worth watching. However, you may want to watch it with a comforting pint of Ben and Jerry’s—it’s not exactly cheery. This film was much more intelligent and complicated than I initially gave it credit for. As usual, I don’t want to give too much away, because this film unwraps itself deliberately and poignantly. I do want to make it clear that this film is not about Banksy. And it’s not even a film about graffiti/street art. Rather, this is a film about what art means and how people interact with it, and the vehicle through which it explores these questions is so interesting and so grounded in a terrifying reality that it took me by surprise. Halfway through the film I thought, “Why is it lingering on these odd moments?” but it made sense as the film progressed (as does the film’s title), and it ended up being one of the most thought-provoking films I’ve seen in a while. It was clever, funny, and earnest, leaving me satisfied and smiling. I recommend this film to anyone who is remotely interested in art and its relationship with the public.